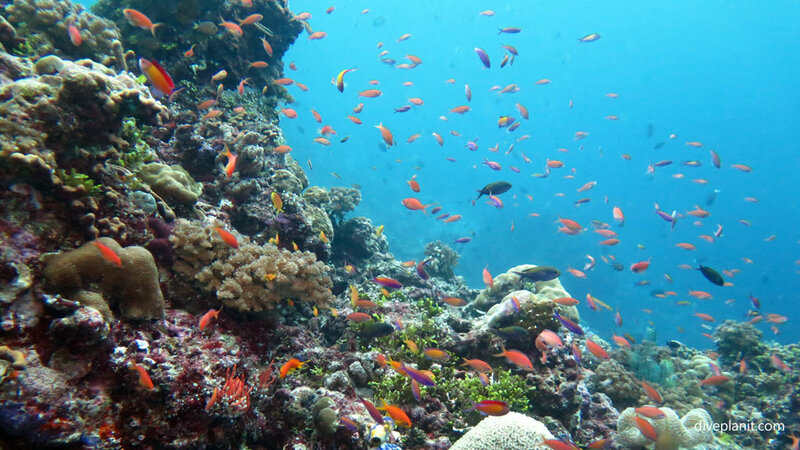 This is most people’s idea of scuba diving holidays: warm, clear water, with a variety of colourful corals and marine life. Not necessarily there just to dive, but certainly taking advantage of the opportunities to do so. Let’s take this one country by country. 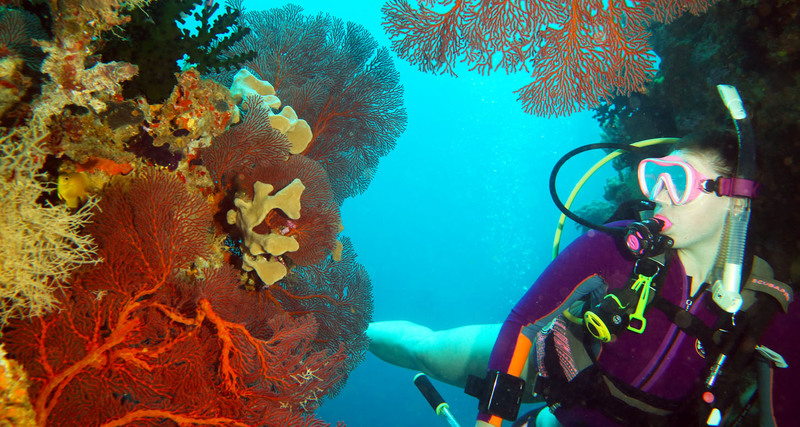 Here are a few suggestions for easy diving and great places to learn to dive. Fiji is an obvious choice as there are regular flights and it is only four hours to this friendly island nation. 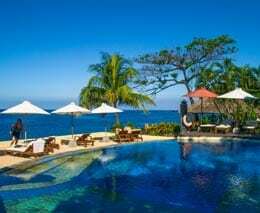 In broad terms, the Coral Coast Resorts of Viti Levu and the Mamanuca Islands are a good family friendly snorkel and dive introduction to Fiji. Backpackers tend to head off island hopping up the Yasawas, as that offers snorkelling with Mantas and sharks and can also be a cheap place to get certified. Beqa Lagoon in the south is a shark feeding capital, whilst Vatu-i-ra in the north is the soft coral capital of Fiji. The eastern and outer islands like Taveuni have world class dive sites like Rainbow Reef and Great White Wall. And these sites are accessible to intermediate experienced divers. 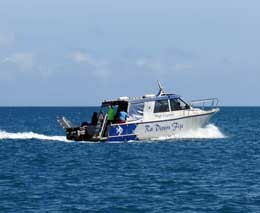 One way to get a sampling of Fiji dive sites is to take a dive/cruise with Captain Cook Cruises Fiji. 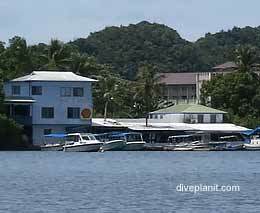 Vanuatu is another easy option with plenty of easy diving out of Port Vila. There is a dive centre in the town centre and a dive resort which can accommodate individuals, couple and groups, accommodation and/or diving. Of course Espiritu Santo which has the SS President Coolidge and other good reefs and wrecks, is a short flight away. 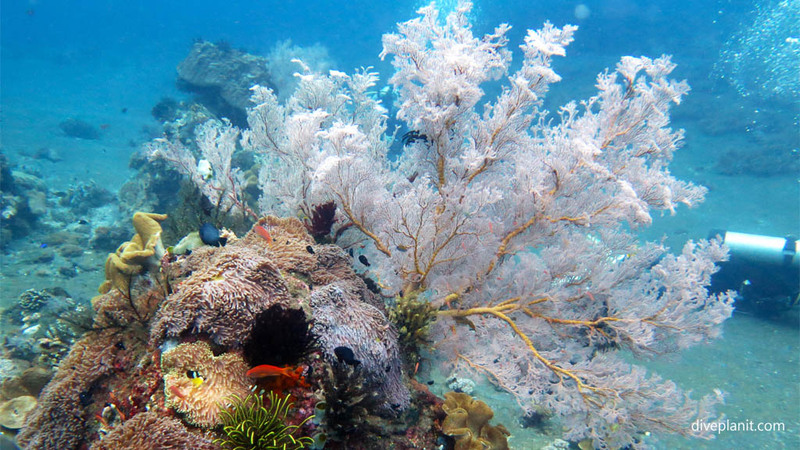 Indonesia, not least because of its size (from end to end it spans one eighth of the way around the globe), has many options for relaxed diving. It has some easy sites off Bali‘s shores directly, like the USAT Liberty, a wreck turned reef at Tulamben, and accessible dive sites like Gili Selang on the east coast and Menjangan Island in Bali’s north-west corner. (Nearby Nusa Penida falls into the slightly more adventurous diving category). The Gili Islands to the east in Lombok are another accessible favourite, having both luxury and backpacker options and some impressive drift dives. Further east again is Komodo and Raja Ampat areas mainly operated by liveaboards. 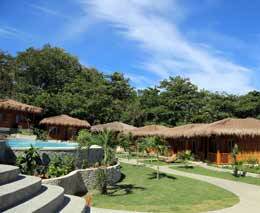 The alternative, for colourful coral reef resort diving is to head north to Sulawesi. Places like the Lembeh Strait are known for their excellent muck diving, but there are plenty of unspoiled and marine life laden reefs in North Sulawesi, like Bunaken and Bankga accessible from Thalassa. 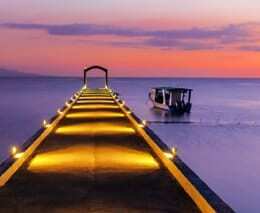 The fabled luxury resort of Wakatobi, lies in South Sulawesi. The Philippines is often overlooked by Australians, yet it sits just above North Sulawesi between Sipadan and Palau. There is plenty of easily accessible diving from resorts around Puerto Galera on Mindoro Island, just 4 hours by car and ferry from Manila. Other places include Cebu and Bohol which are literally littered with diving centres and resorts offering great scuba diving packages. In Thailand the relaxed diving is in the Gulf of Thailand from islands like Koh Samui, Koh Phangan and Ko Tao. To the west of Thailand, the Andaman Sea generally offers more adventurous diving and indeed parts of it are only accessible for parts of the year. Krabi and Koh Phi Phi are the exception and are great places for scuba holidays. 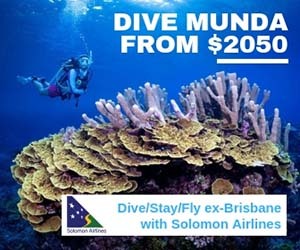 The Solomon Islands too is within easy flying distance. A path slightly less trodden, it has some great reefs and its fair share of wrecks easily accessible from comfortable resorts in Gizo, Munda and Uepi. Another path less trodden is Papua New Guinea (PNG). 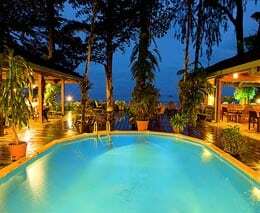 There are resorts in PNG that offer an oasis of diving opportunities like to Tawali. Again no special experience or skills is required to dive in these places other than working out how to get there. The Cook Island’s main islands of Rarotonga and Aitutaki are surrounded by hard coral fringing reefs, so though it might not be one of the top diving destinations, it has plenty of easy diving on coral reefs and even more relaxed snorkeling and diving inside the lagoon. 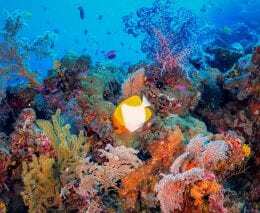 It would be unfair to omit Australia’s tropical reefs as we still have the largest barrier reef system in the world. There are many ways to dive the Great Barrier Reef but some form of liveaboard is probably the best way to optimise time spent diving over time spent getting to the dive sites. Options here are a short sleep over on a reef like Hardy Reef with Cruise Whitsundays Reefsleep adventure, a liveaboard that moves around a little but stays in the same general area such as the Ocean Quest from Deep Sea Divers Den, or the full-blown liveaboard that travels across the Coral Sea and visits only the best sites on the way. Conversely, if time is at a premium, there are day trips from both Cairns and Port Douglas. If the thought of being on a boat for a long time is not your idea of fun, you could stay on one of the islands such as Heron, Fitzroy, Lady Elliot Island or even Lizard Island. A great place for a dive holiday, as they each have dive trips twice each day which are just 5 minutes from the jetty or beach. Australia’s temperate diving is covered separately … and coming soon. 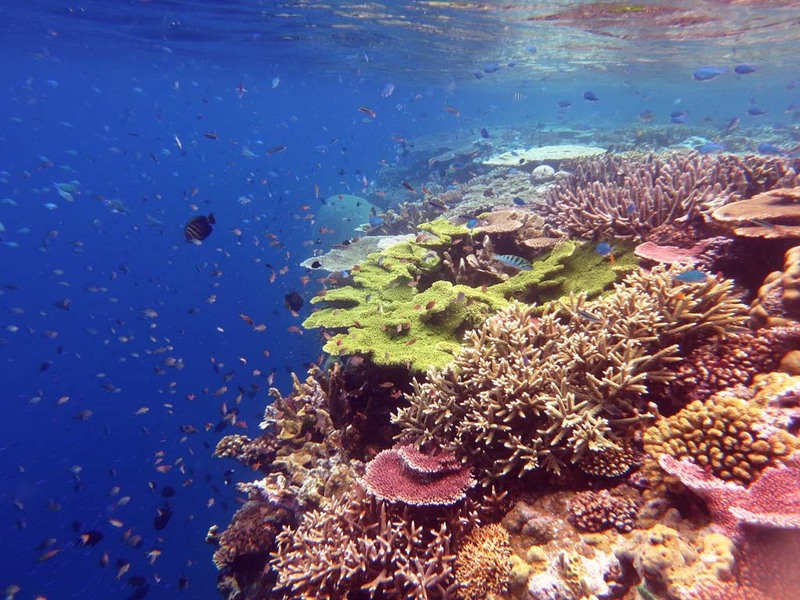 There are other small Pacific island nations like New Caledonia, Tonga, Niue and the Samoas that have excellent colourful coral reef diving and snorkelling. 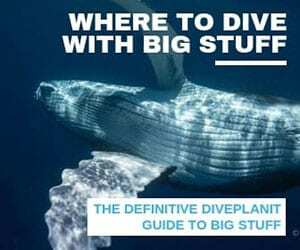 Don’t discount them because there is no detail on the Diveplanit website just yet – it’s all a work in progress.